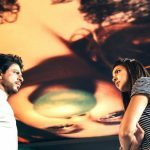 Latest Hindi movie Jab Harry Met Sejal was released this Friday with huge expectations, but so far the response it has received at box office is below the belt. 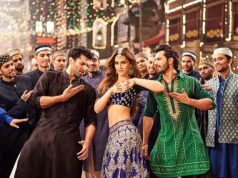 Superstar Shahrukh Khan and Anushka Sharma starrer this romantic drama did’t witness any growth on Saturday after an almost excellent but under-performed Friday. Like previous movies of Shahrukh Khan, Jab Harry Met Sejal too has got failed to receive acceptance of all the viewers. Despite good performances of the leading duo, it has got mixed reviews from critics as well as audience and the major reasons behind it, are weak script and direction. Director Imtiaz Ali had the king of romance Shahrukh and very talented actress Anushka Sharma, but he has got failed to create the essential emotion on the screen. Movie’s music also doesn’t make desired impact and pulls it back instead of giving power. On the opening day, Jab Harry Met Sejal recorded good occupancy of 40-45% and did the business of 15.25 crores from around 3200 screens across the country. Although it is the fourth highest opening of the year so far in Hindi cinema, but actually lower than the earlier expected mark. On Saturday, due to mixed reactions the movie remained flat and minted slightly lower amount than Friday i.e. 15 crores. Then on the next day i.e. Sunday, Jab Harry Met Sejal witnessed decent growth due to public holiday and collected the amount of 15.50 crores. With this trend, the total collection of the movie has become 45.75 crores after the opening weekend. Still Jab Harry Met Sejal has one more holiday of Raksha Bandhan on Monday to cash, so it seems to go near 60 crores by this extended weekend domestically.